Three teams are on the hunt for the big 12 championship. Two of them will meet in West Virginia on Saturday night. OU has been the team to beat after a tough non-conference schedule. West Virginia suffering their only lose of the season to the Oklahoma State Cowboys. Keep in mind that game was in Stillwater. After being blown away by Ohio State at home 45-24 the Sooners rebounded and now are on a 7 game winning streak. The Sooners also found in this 7 game winning streak the best combo in the country Dede Westbrook and Baker Mayfield. Now that Samaje Perine and Joe mixon are back the Sooners can balance the run and pass game against West Virginia. The Sooners defense are giving up on average around 31 points per game. 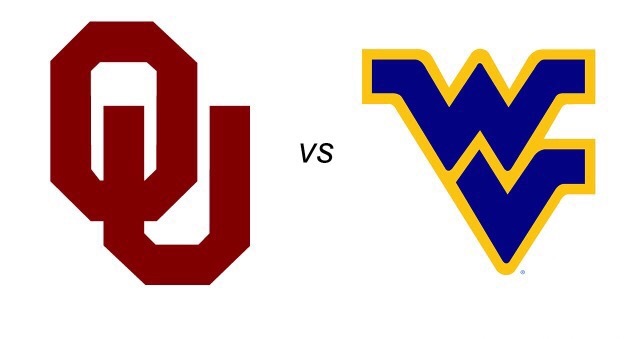 West Virginia suffered their only loss to Oklahoma State 37-20. If the Mountaineers want a chance to win the Big 12 they will need to play with a lot of intensity and cleaner effort. Quarterback Skyler Howard was picked off 3 times in the win vs Texas last week. He finished with 269 yards passing and also adding 1 touchdown. Defense: West Virginia. Oklahoma has struggled all year on covering the pass and the Mountaineers haven’t had much of a problem. Offense: Oklahoma. Don’t get me wrong the Mountaineers can sling the ball too, but when you have Baker Mayfield and Dede Westbrook most of the time your set. Special Teams: Oklahoma. Both teams are quite even in this category but again when you have Dede Westbrook returning punts and Joe Mixon returning kicks gives Oklahoma the advantage. The very talented Kicker/Punter Austin Siebert makes a big difference at those positions as well. Weather: West Virginia. Right now in the forecast there is a chance for rain and snow in Virginia. We can expect the weather to possibly play a part since neither team has experienced cold weather this season.